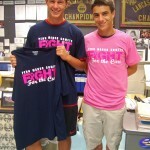 Pink is all the rage this fall as the effort to raise money to fight cancer has gone district-wide. 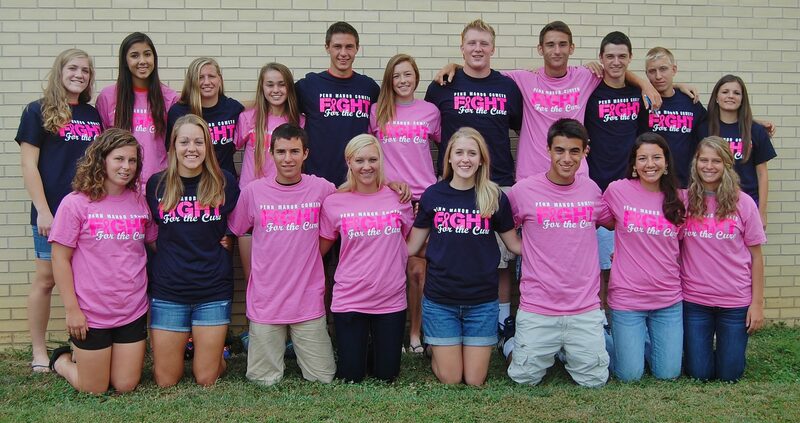 All sports teams are participating in the Penn Manor Pink Out by selling T-shirts (short- and long-sleeve), pink cupcakes and other items to raise funds. Donations also are being accepted at sporting events, and the event will culminate with a pink-out dress-down day for students and staff on Oct. 4. That night, fans will be encouraged to wear pink at the Comets’ homecoming football game. As a special bonus, Penn Manor superintendent Dr. Mike Leichliter has agreed to wear a snazzy pink tuxedo all day Oct. 4 if the field hockey team can reach its fund-raising goal of $1,000. T-shirts can be ordered from any fall athlete, in the athletic office, or online using this link: http://is.gd/u6miBN . The deadline for orders is Sept. 20, and the shirts will be delivered to schools the week of Sept. 30. Get your pink on!